Legatissimo showed her star quality once again with a comfortable victory in the Coolmore Fastnet Rock Matron Stakes (Gr.1) over 1m at Leopardstown yesterday for owners Michael Tabor, Mrs John Magnier and Derrick Smith. Bred, raised and sold by Newsells Park Stud, it was a top-class performance by this three-year-old filly. Settled just off the pace, she travelled strongly into the contest. She kept picking up and having glided to the front down the outside of the pack she gradually increased her gallop and was on top more at the line than at any point in the straight. “She is probably the best I’ve ever trained at this stage,” said winning trainer David Wachman afterwards. “She has been so good all year and this was probably her best performance. She travelled very well and she quickened once and put in bed. 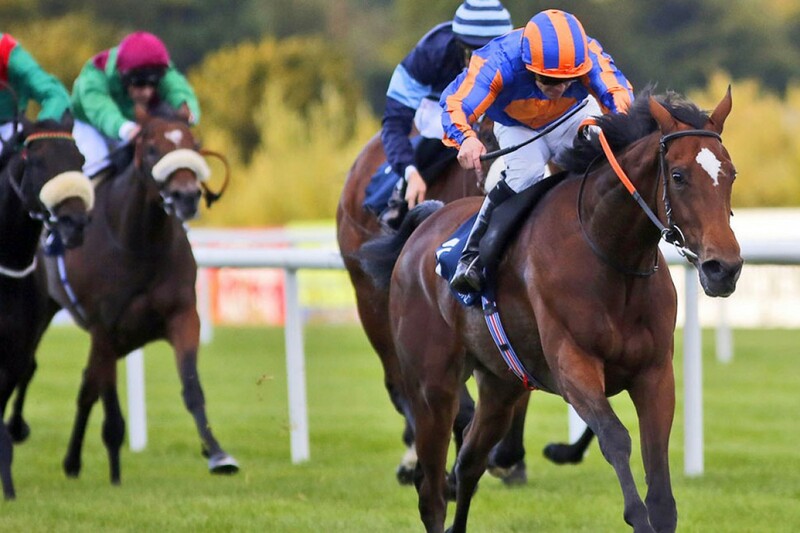 Winner of the Classic 1,000 Guineas (Gr.1) and Qatar Nassau Stakes (Gr.1), Legatissimo has also finished second by just a short head to Diamondsandrubies in the Sea The Stars Pretty Polly Stakes (Gr.1) at the Curragh, and second to Qualify in the Oaks (Gr.1) at Epsom this season. By Danehill Dancer, she was purchased by MV Magnier from Tattersalls October Yearling Sale Book 1 for 350,000gns and has an impressive pedigree being out of the own sister to Fame And Glory, Yummy Mummy (Montjeu). Yummy Mummy also has a Redoute’s Choice yearling to be offered by Newsells Park Stud at the Tattersalls October Yearling Sale Book 1 (Lot 24), and a filly foal by Shamardal. Legatissimo’s victory certainly capped a great few days for horses bred, raised and sold by Newsells Park Stud with Pallasator’s win in the Doncaster Cup (Gr.2) on Friday 11th September, and yesterday Lightning Spear finished third in the Boomerang Stakes (Gr.2) at Leopardstown and in Australia Maurus was second in the Sky Thoroughbred Central Kingston Town Sakes (Gr.3).